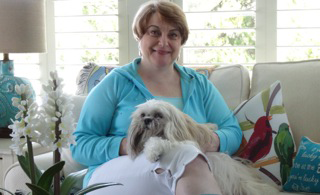 Today I’m featuring Honey Perkel, a fellow author on the Oregon coast. Honey will be sharing about her brush with the supernatural, which relates to her son, Brian, who passed away four years ago. Just Breathe is a memoir capturing Honey’s fight to save her son, who suffered from addiction and mental illness. Honey has written a trilogy taking place on the Oregon coast. A Thousand Summers, Secrets at the Cove, and A Place Called Paradise hold the flavor of Seaside, a small beach town. The Faithful Daughter is a Historical Romance taking place from the Jewish district in Denver to the shores of Seaside, Oregon. Honey believes in things that go bump in the night, past lives, spirit guides, and angels, and that belief touches her writing. Honey’s books are available on her web site: www.honeyperkel.com. 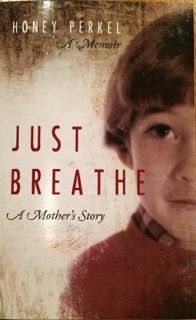 Just Breathe … A Mother’s Story is the true journey of this author’s personal tragedy. It is a story of growth, of lost dreams, and new dreams realized. Of fighting to save a child through insurmountable odds. It is a story of letting go and in the end, instead of saving her son, one mother is able to save herself. I saw my son standing in the doorway. Young, eager, dressed in shadows, and I wasn’t afraid. I wasn’t afraid! The fact alone amazed me. It was the evening of what would have been his thirty-fourth birthday. That too, gave me pause. I hadn’t seen him for nearly twelve years. And gone were the memories of—the nine therapists in nine years, the bouts with mental hospitals, the giving up of custody and regaining it, the empty, lonely years of estrangement that followed, and now this. What was he trying to tell me? That he was all right? What? Having not fared well during those raw years, I was glad to see him, my son. We exchanged glances, his features hidden in darkness, then he turned and as a road runner in slow motion he lifted a leg and sprinted into nothingness. I held my breath. Brian, dead for nearly three years. I saw him. Read author Honey Perkel’s memoir depicting her struggle with her son’s mental illness in Just Breathe.